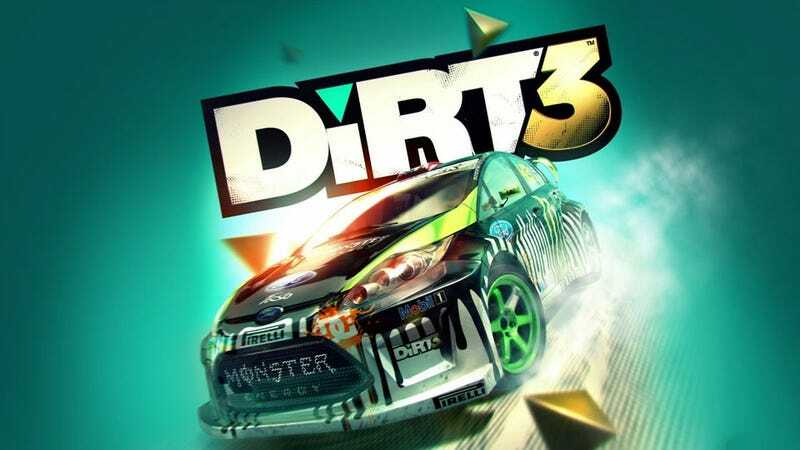 Publishers Codemasters and graphics card manufacturer AMD have been running a promotion lately whereby purchasers of a card got a free copy of excellent racer Dirt 3. That offer has now been, uh, slightly expanded. It seems Codemasters had the reserved download codes for the promo - estimated at around 3 million copies of the game - sitting on one of its webservers in plain sight, and over the past couple of days that list has been accessed and passed around, giving anyone who has seen it a free copy of Dirt 3. While this might seem like an online looter's Christmas come early, there's a catch: the codes are Steam codes, meaning that should Codemasters (or Valve) decide to take action, all they'd need to do would be to go down the list and block the codes for the game. And that's a best-case scenario for "thieves", one that doesn't involve banning. UPDATE - While it was initially believed that up to 3 million codes had been leaked, I've since taken a look at the master list that was lifted, and what I saw contained "only" 250,000 copies of the game. Now, I may have only seen one list, or an incomplete list, but I'm updating this here for the record anyway! UPDATE 2 - Codemasters says it's trying to "block" hacker's access to the game. UPDATE 3 - Reader Antipika let us know that, indeed, the list I saw was but one. He's seen 8 of them, containing a total of 1.7 million keys. Update 4 — This comes from Codemasters, just this hot second: "You may have heard this weekend, activation keys for free Dirt 3 game vouchers shipping with a few AMD products were compromised. The keys were hosted on a third-party fulfillment agency website, AMD4u.com, and were not on AMD's website. Neither AMD nor Codemasters servers were involved. We're working closely with everyone to address the situation. AMD will honor all valid game vouchers, but just a heads up, the current situation may result in a short delay before the vouchers can be redeemed."